In the modern off grid prefab house this winter, the cook stove is slowly fed one log at a time, often just for dinner- and at night, it's always out. With average high temperatures this past month in the 40s, and lows in the 20s, our standard package prefab house kit holds in heat easily without any work, and as the temperatures rise with the sun, the passive solar design works beautifully to warm our modern home. It's SO warm in the prefab house that you are shocked when you step outside and realize, "Wow! It's cold outside! Put on a jacket! No, wait, grab a COAT!" Warming up with the equines outdoors! Living off grid in a modern prefab house means we embrace doing more with less. We also think about good investments vs. wasteful, a frugal lifestyle vs. incurring debt... I am always thinking about practical, frugal investments that will be useful for a lifetime, and it carries into my gift giving. Each Christmas, I try to get them something practical that will last a lifetime that they would never think to buy for themselves. One Christmas, it was crockpots- so they could turn it on, go off to college and work, and come home to a healthy delicious dinner ready after a tiring day. Another, it was baking cookbooks with bread pans. One year, good pans that would last. Hiking sticks with compasses and flashlights. Camping gear. Cloth napkins. All those tools you don't know you need until you desperately need it! Well... I know what they're getting for Christmas this year. It's something not found in Targets or Walmarts that you never think you need until you do and are miserable, and will save them hours / a costly bill. 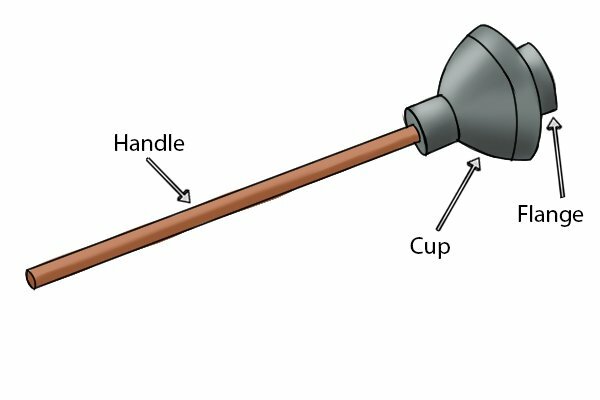 A plunger with a flange. Ever notice that all the big box stores just carry cup plungers? They aren't even made for toilets! Why don't we all know that plungers for toilets need a flange?!? Now you know. for dirt, dogs, and dancing! At our off grid prefab house, we put our prefab on concrete slab, which works GREAT for radiant heat, thermal mass, ease of rough living (hello, children, dogs, and chickens!)... but not emergency plumbing. If there ever is a clog, it's dire, because we can't break up the concrete to fix it! Of course we avoid a clog like the plague, but we also practice water conservation, and a few times enthusiastic children with big wads o' toilet paper + water conservation did not go well. Once, I plunged the toilet (and a few other tricks like kettles of hot water) for over TWELVE HOURS before the clog gave way. And then, I discovered PLUNGERS WITH FLANGES. My life was changed. And hence, I will gift my nephews! I don't think anyone now ever recalls a time when he WASN'T part of the pack. Day 1: Dogs meet and like each other at the SPCA. We drive home in separate cars, so our dogs are super surprised when Toothless hops out of the second car once home- "We *LIKE* him but I didn't know he was STAYING?!?" Toothless walks in to the prefab house, looks around, and promptly pees on my beloved, prized cookstove. I explained to him you can't pee in the house! SO HE NEVER DID IT AGAIN. Day 2: On a leash, we introduce him to the chickens and equines. By the end of the day he is off leash lying in the sun sharing his water bowl with chickens. He is also doing "sit" and "down" and then we teach him "stay" and he remembers it. He no longer is pulling on the leash. He is the smartest dog I have ever met- you just have to explain something and then he knows it. Tiny discovered that it was actually super fun having him around because now he has someone to tug at logs with instead of dragging them around by himself! And then... they would come in and take looooooong naps. Day 3: Thanks to the passive solar design of the prefab, it's one big ball of napping beasts and children in the sunbeams on the floor. Tiny and Toothless are like Lightning McQueen and Mater. Not only are they a pack, they are BEST FRIENDS and don't remember a day without each other. Even Mr. Chuckles is cheerful, to my shock, because Mr. Chuckles is always grumpy. Even mean ole Mister Chuckles is smiling. Ironically, instead of more chaos, the house is QUIETER- because Tiny & Toothless have their fun OUTSIDE, then come in to flop on the floor and nap for hours. Maybe they'll take Pip 1 with them... oh wait, THEY DID! 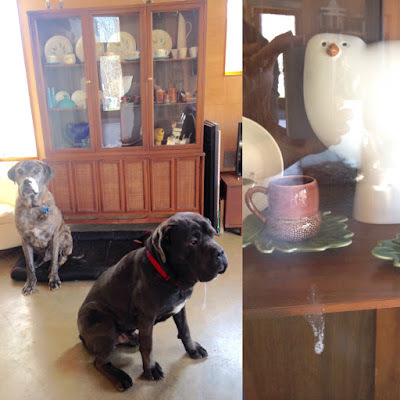 How Does One Mastiff In A Small Footprint Modern Prefab House? - During the day, keep the water bowl outside when you're home. I'm always there to let the dogs in and out at will, so slobbering over the water bowl in the yard is much nicer than slobbering over a bowl next to midcentury modern furniture, no? please let in his BEST FRIEND. "Not until he loses that 4' long droolcicle! EW!" hutch where he flung a droolcicle high onto the glass. the food and water outdoors trick. Off grid seasonal chores continue with more crop tree release which then yields us off grid firewood. But with years of DIY finishing of the off grid prefab house and slowly over years setting up the homestead, these seasonal chores are not just doable, but enjoyable.